This page contains current information on traffic conditions, border wait times, weather and road conditions for the Blaine / Surrey border crossing. You may need to refresh this page periodically to get current information. For complete information on this border crossing including times of operation and contact information see our Blaine/Surrey page. Hwy 15 at U.S. Customs looking north at any backup. 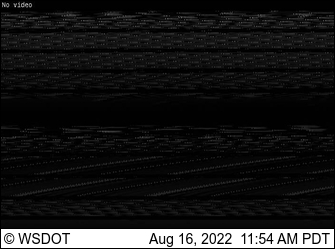 We have special pages showing all current road advisories for the State of Washington and the Province of British Columbia. These pages show problems around the border crossing such as roadway snow or ice, lane closures or blockages, road restrictions, traffic problems, and roadwork. 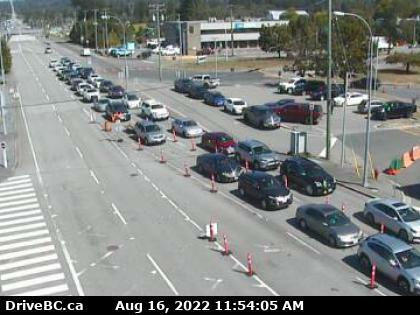 To view the traffic conditions at the Blaine / Surrey border crossing, select “View Larger Map” and turn on the traffic layer. 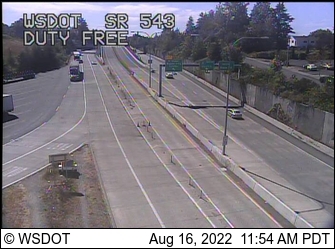 Below are travel alerts issued by the Washington State Department of Transportation for Interstate 5. This includes major accidents, weather related problems, construction and other events that may affect your travel.